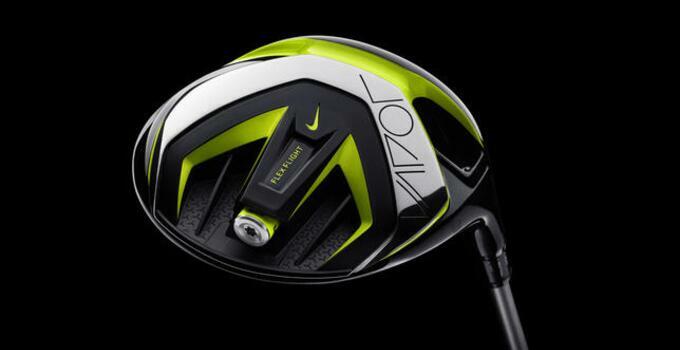 Nike Golf has put a little Volt into its next generation of drivers. Called Vapor, the three-driver series builds on the Covert line and its cavity-back technology. The FlyBeams are along the side of the cavity back, with the idea of focusing energy toward the face to improve ball speed, as well enhance the sound at impact. FlexLoft 2 allows a golfer to pick from five lofts and three face angles for a total of 15 unique settings, is five grams lighter than the previous generation and is backwards compatible with previous generations of the Covert woods. The Vapor Speed driver has the largest head in the trio, with a black crown and the company's volt paint in the cavity back and proprietary Compression Channel. The Speed has a deeper face, sloping the crown more severely toward the back of the club to move the center of gravity lower on the face. The Vapor Flex driver offers the company's variation on customizing the club's center of gravity. Called FlexFlight, the technology centers around the Flightpod, a 15-gram weight made from the same RZN material found in the company's golf balls and new Vapor irons. The weight is denser on one end than the other and sits in the cavity back of the club. Set in one direction, the center of gravity can go low and forward (to couple with a higher loft). In the other direction, the center of gravity moves back. FlexFlight can fine-tune launch angle, spin rate, forgiveness and workability through 2-mm turns. Launch angle can change up to a degree and change spin by about 300 rpm. The FlightPod is locked into place using the same wrench to tune lie and loft settings with the Flexloft system. 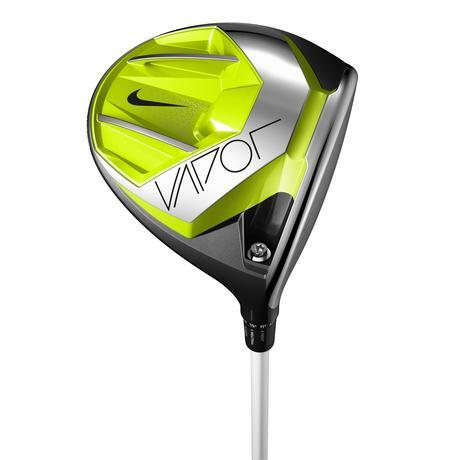 Nike also has introduced Vapor Speed and Vapor Flex fairway woods, sporting a 25 percent larger clubhead while continuing to push the center of gravity lower. The fairway woods have same cavity-back design and new Compression Channel as the driver models. The entire Vapor family is available Jan. 30, 2015.